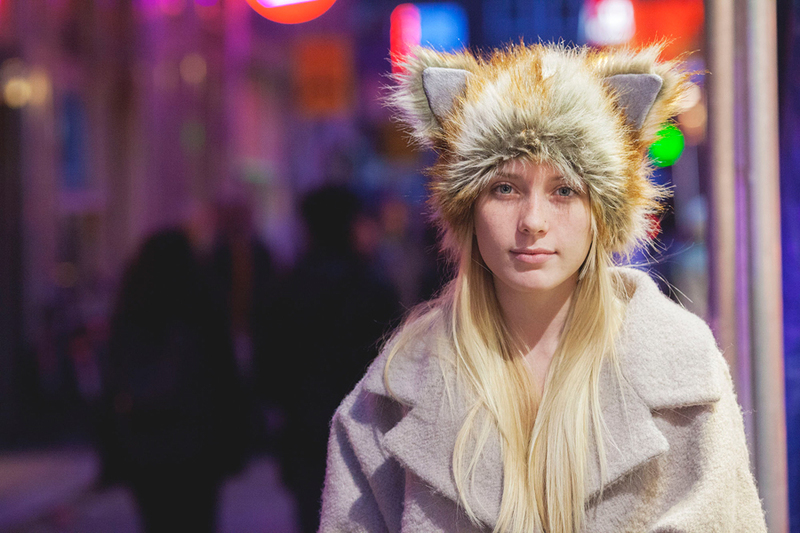 I'm not normally a fan of novelty headwear like this, but she looks really sweet with ears. The gorgeous coat helps! Such a wonderful combination. Love the hat.